Timber Drum Company is a small workshop dedicated to crafting MADE IN USA instruments. The sound of these wood blocks can be described as "organic, natural and woody". That is to say, it is the real and authentic wood block sound that plastic blocks merely mimic. These instruments are built from one solid piece of American hardwood with a hand-rubbed oil finish. The one-piece design projects a focused tone that cuts through the other instruments and is also extremely durable. Multiple sizes are available, which allow you to create more complex rhythms and also a choice in pitch, since the larger the block the lower the pitch. For the best tone, play near the center and close to the edge. If you are not sure which size to choose, pick the large 8" block since that is the most traditional sound. 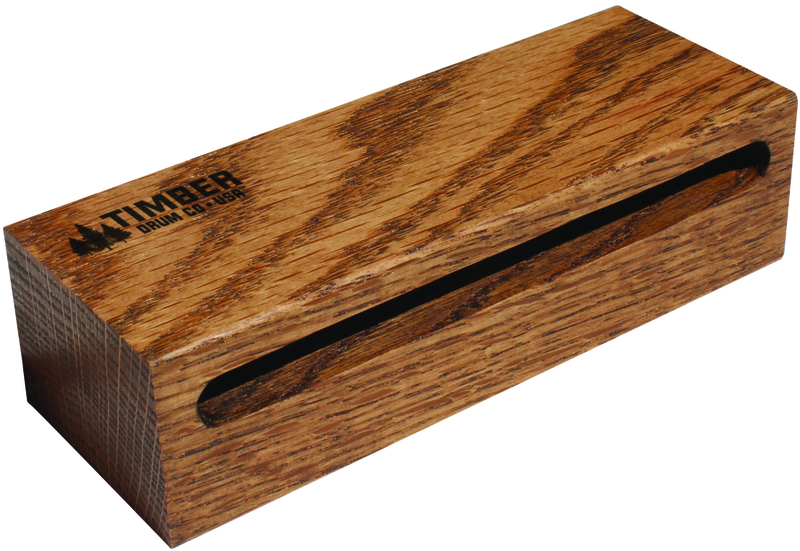 Add a Timber wood block to your personal collection of sound effects and be ready when inspiration hits.